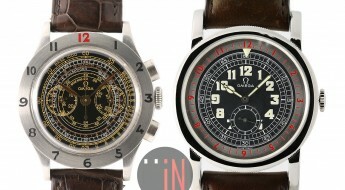 The horology market is full of fading and resurging trends. Be it the bigger case sizes, the “all black” color schemes, or rehashing of past timepieces, with or without a modern spin on them. 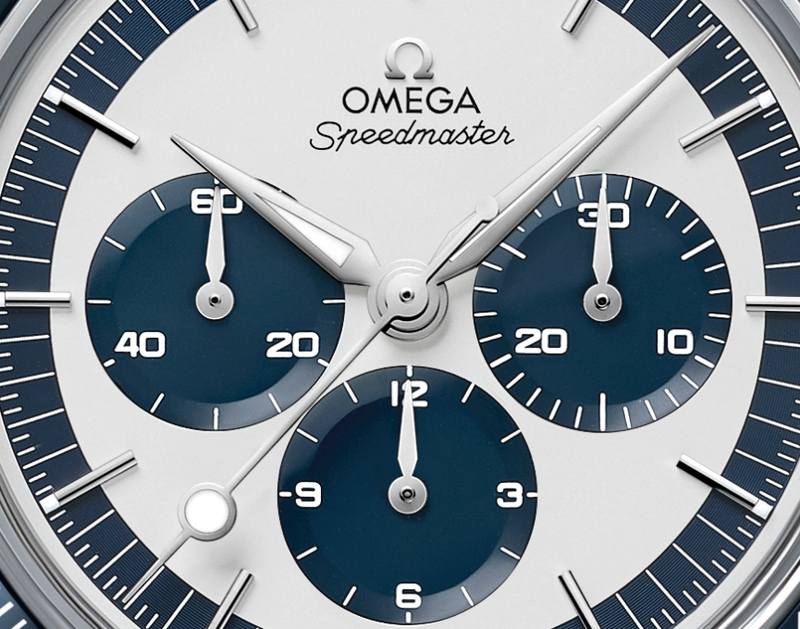 For this “Speedmaster CK2998 Limited Edition”, Omega has brought us something from the past, with a new face. 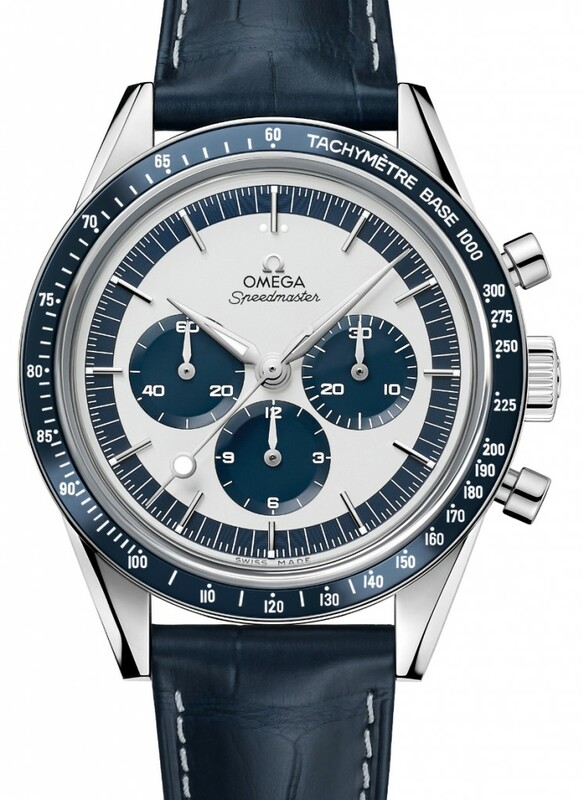 Back during Baselworld 2016 we took a quick look at this Omega release and wrote about how it was a welcomed new edition to the “Speedmaster” line. Now, that we have the timepiece in hand and in shop we decided to revisit and take a closer look at this new, old referenced watch. 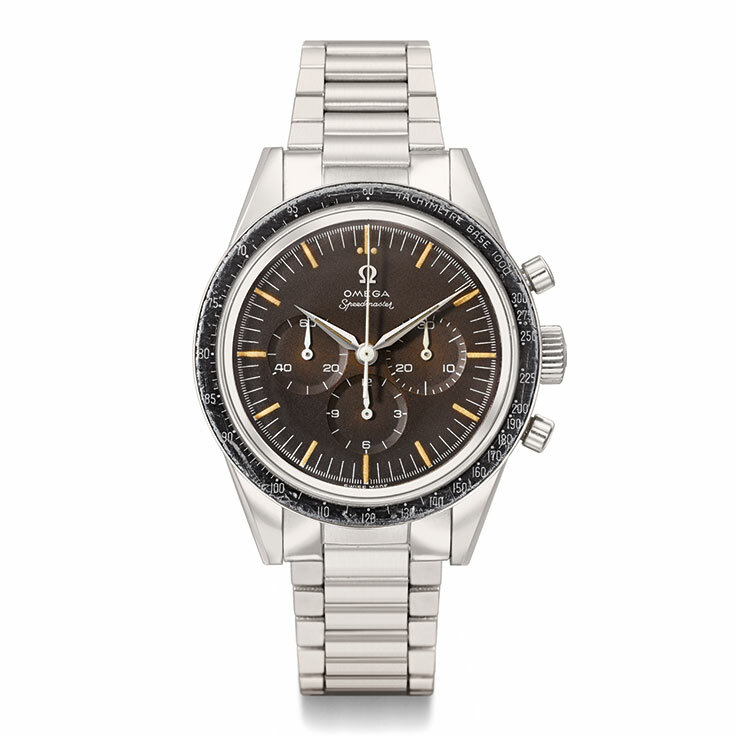 The original “1959 Speedmaster” (Ref#: 2998) was the first version to feature a black bezel, instead of a steel one. 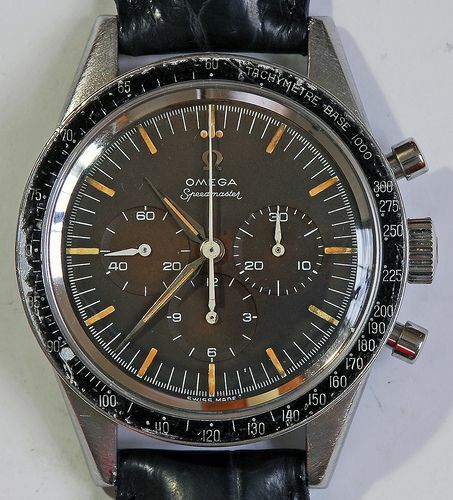 Since then it’s almost become a standard trait to see Speedmaster’s with black bezels. An identifiable characteristic that began with this reference number. But, this version has gone a completely new route, which leaves this watch midway between the past and the present. 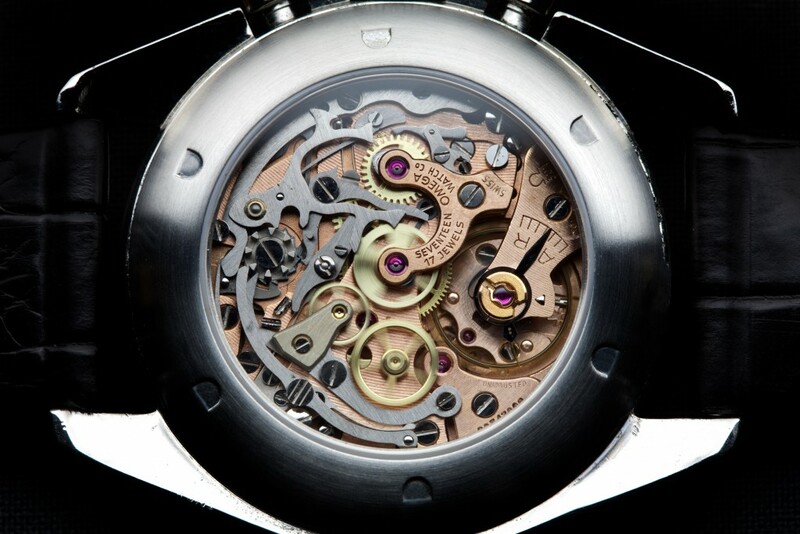 A creative decision that promises to pay off well for Omega and that has caught the eye of many horology enthusiasts. The 39.7mm wide case is made of stainless-steel with a mixture of polished and brushed finishes and a thickness of 14.37mm. These proportions are more in line with vintage sizes, than modern trends to always go a bit bigger. Instead of curvy lugs, we’re presented with straight lugs, which is another homage to the earlier versions of the Speedmaster. Also features a polished blue ceramic bezel with a white SuperLuminova tachymeter scale on it. 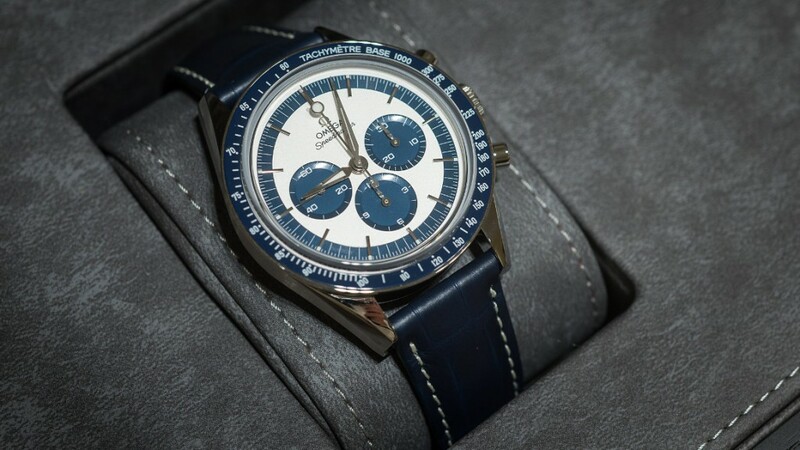 After a closer look at the tachymeter, we can read “Base 1000”, which is another call-back to the original “2998-1”. Afterwards bezels on these timepieces would more often read “Base 500” instead. The crown and pushers to activate the chronograph functions are all located on the right-side of the watch, near the 2, 3 and 4 o’clock positions. 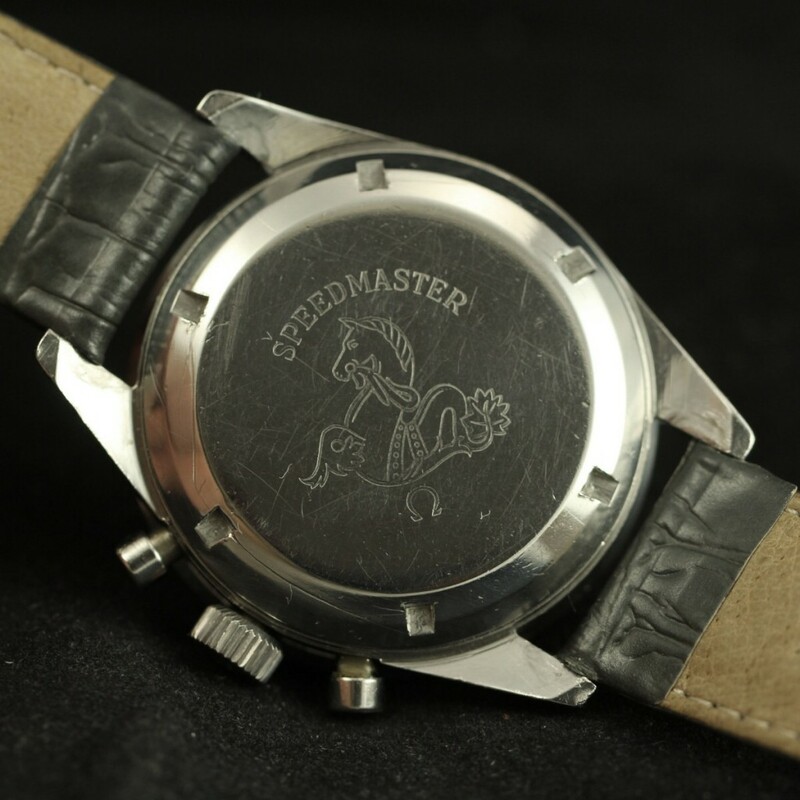 And the screw-down caseback exhibits the classic “Speedmaster Seahorse” emblem. Overall it’s the traditional layout for this watch, with some new colors thrown in the mix. We need to focus on the dial to see a departure from the original version. And this blue and silver rhodium color-scheme is a significant and gorgeous deviation from its predecessors. 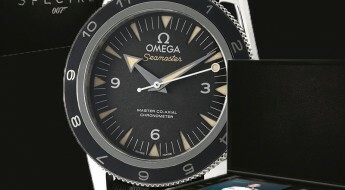 There is a white outer-ring after the bezel, followed by a blue ring with white minute index markers and rhodium index hour markers with a luminescent coating. 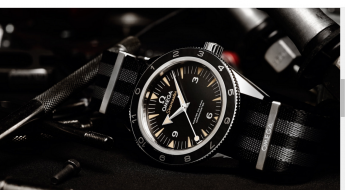 And the standard three sub-dials: a 30-minute counter at the 3 o’clock position, a 12-hour counter at the 6 o’clock position and a sub-seconds dial at the 9 o’clock position. 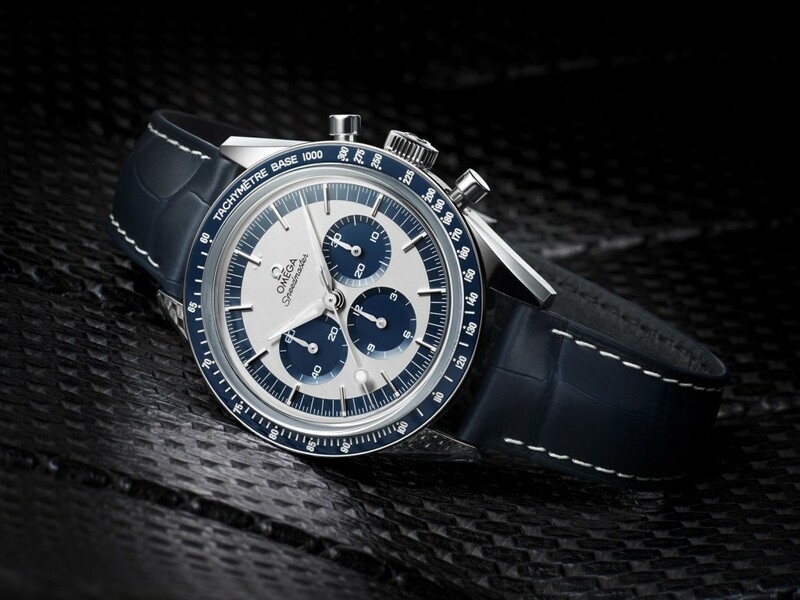 If the blue was swapped with black, it could easily be identified as a panda-dial. But, would also lose its central appeal and uniqueness. Time is pointed out via alpha-shaped hour and minute hands, plus the iconic “lollipop” seconds hand, with SuperLuminova coating on the hands and lollipop dot, for an enhanced legibility. This “lollipop” hand actually wasn’t present on the original “2998” version, showcasing a straight seconds hand instead, but it was a nice nuanced touch by Omega to include it here. 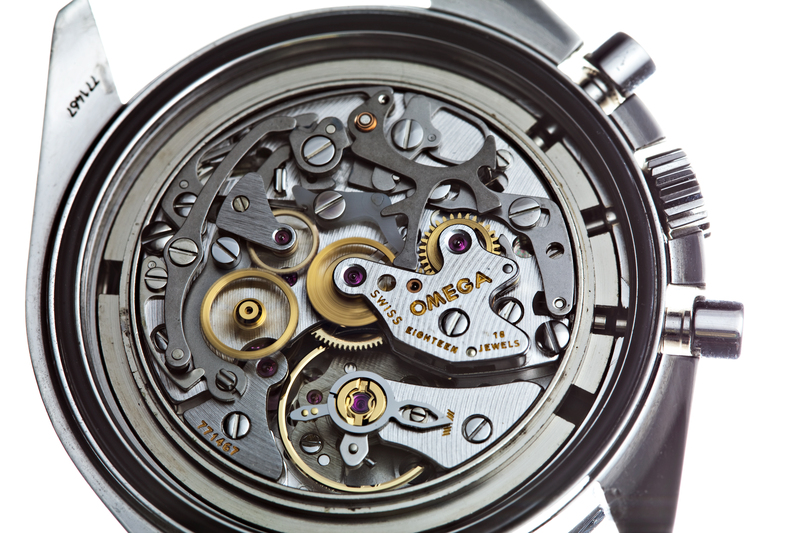 As for the movement encased in this contemporary vintage homage, Omega chose a manually-wound chronograph, caliber 1861. Even though the original moonwatches were equipped with the 321 caliber movement. But, one needs to remember that the 1861 is the direct descendent of the 861, that was present in NASA flight-certified Speedmasters, from 1972 onward. 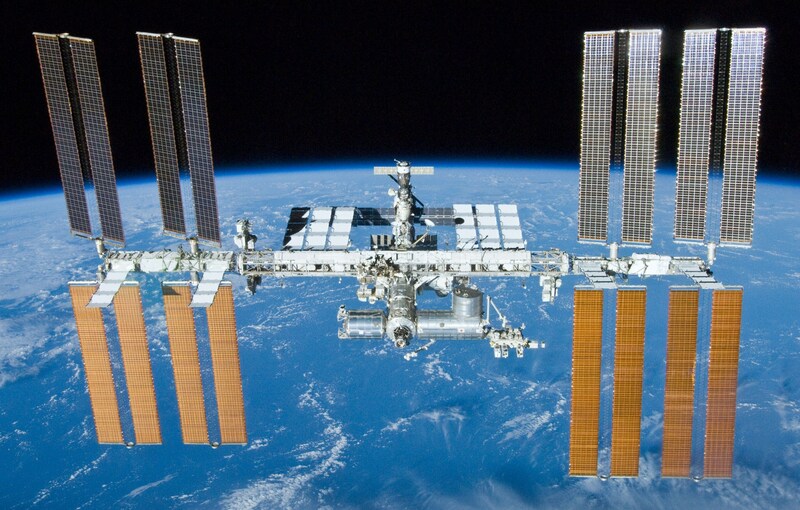 Also the choice of the caliber 1861, resides on the fact that they’re currently being used on Speedmaster’s deployed at the International Space Station, where they endure “space-walks”, or as they’re technically called EVA (extravehicular activity). 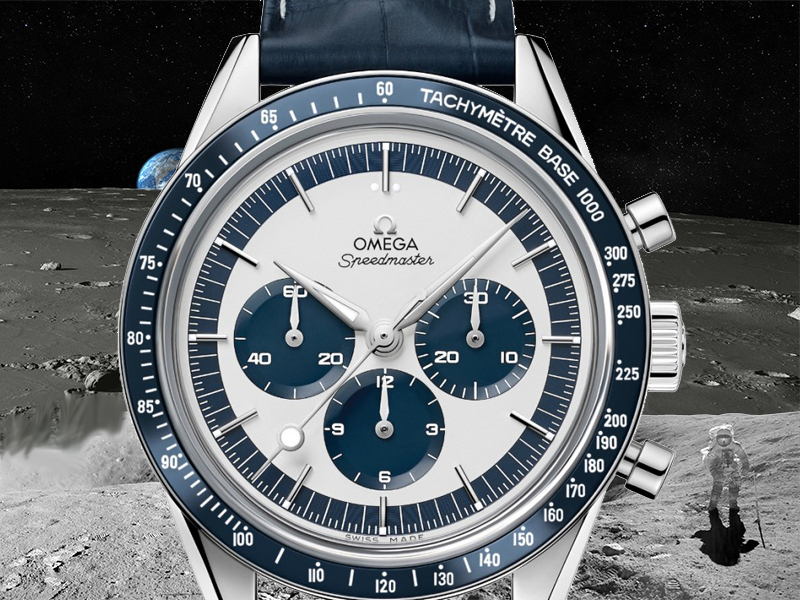 This “Omega Speedmaster CK2998” (Ref#: 311.33.40.30.02.001) is powered by a manual-winding mechanical movement, caliber 1861, with 18 jewels and 21,600 vph. This is the same movement used on the original Moonwatch. Power reserve on this timepiece can last up to 48 hours. Mounted to the watch is a blue leather strap, with contrasting beige stitching and a polished steel buckle. 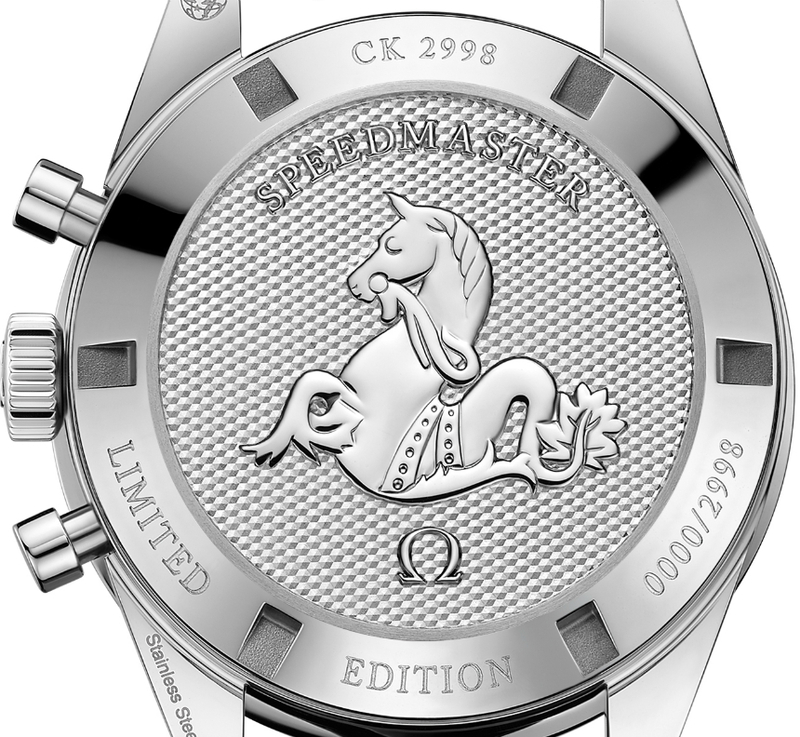 This is a limited-edition of 2,998 pieces, with each piece numbered on its respective caseback.